Concrete is quite a versatile substance. It could be used for patios, porches, driveways, flooring, garages, etc. But it is susceptible to damage with time. There are a number of ways of repairing concrete which can be performed for prolonging its life and giving it a face-lift. A competent DIY enthusiast could perform a few repairs on their own. But a professional should always be hired for performing major concrete repair. Just like the uses of concrete vary, the types of repair vary just as much. The complexity of such work and the labor required can affect the cost greatly. There are various grades of concrete which can be used too. For those people looking for the best in concrete repair, they should research what’s involved in it exactly. 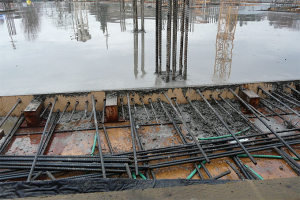 The concrete mix used for repairs varies depending to the climatic condition and temperature too. This is even more important if the work’s being done outdoors. A stronger mix will be required in cold weather. Replacing an entire floor or driveway is always the last resort. There are a number of repairs including reinforcement, restoration, and maintenance and finishing which can be tried first. Fancy styles can also be added to the concrete but that isn’t really considered as repair. Cleaning and getting the area ready is just as important during concrete repairs. It can be performed using a number of organic compounds or chemicals. It’s important to check with contractors if there are any concerns before going ahead with the repair. The amount of time taken for repairs will depend on the amount of work required. But, there are a few guidelines which can be followed. Even with the fastest drying mixes, it could take at least 24 hours before the concrete can be walked on. Alternative arrangements need to be made in the meantime.